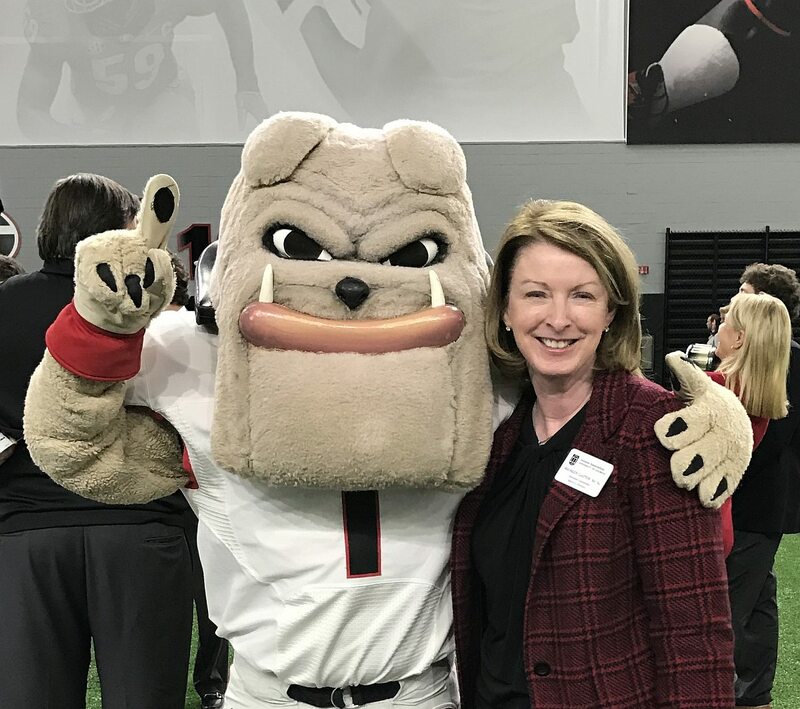 Four-time Bulldog 100 winner; UGA student mentor; UGA Libraries Board of Visitors; 2017 UGA Graduate School Alumna of Distinction; former UGA Alumni Association Board: UGA A Taste of Home honoree (Carmel Apple Crumble). Describe your typical Bulldog game day: Texting with our network of friends before, during, and after the game. All my college friends are die-hard Bulldog fans and they’re knowledgeable about the players and have opinions! Fave skin care line: RachelMade products. Can’t get through the winter without the Hand & Body Balm. Who inspires you? Jen Hidinger of the Giving Kitchen. After an experience that would leave most people shattered, she channeled that energy to help other members of the Atlanta restaurant community who experience medical crises. *Depending on how big your tailgate is will dictate how much of ingredients you need. Set oven to 350. Split the rolls and add horseradish sauce to both slides (2 Tbs.). Add the roast beef and cheese. In a saucepan, heat and stir butter, brown sugar, worcestershire sauce and 1 Tbs. of horseradish. Bring to boil. Pour over sandwiches and sprinkle poppy seeds. Bake for 25-30 minutes until the tops are crispy. Wrap in tinfoil and take to the game!